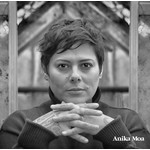 Eighteen years after her debut recording on American soil, Anika Moa headed to the vibrant musical hub of New Orleans to record her sixth studio album, the self-titled, Anika Moa. The result is a 10-track collection of some of Anika's clearest and most captivating music. Her familiar melodic blueprint journeys through folk, pop and Americana.